Enter to win the giveaway below. Follow the instructions in the Rafflecopter and may the odds be ever in your favor :) Contestants must have a US shipping address to be eligible for entry. Need a new look ASAP and don't want to wait for the giveaway? 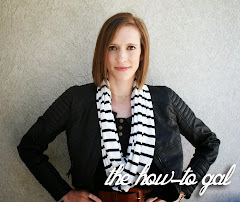 Head to Shabby Apple and enter howtogal10off for 10% off your purchase. This coupon is valid until 5/4/2013. I love the "Lincoln Square" dress!! Lots to choose...I love the golden afternoon dress! I need a new dress for an event next month. I love the Golden Afternoon dress! The rhapsody dress is pretty! I love the Cider dress. I've wanted the Gondola dress for so long now. Mamma needs a new dress!! i love the cockeyed optimist dress!! I would love to win a gift card; have done all the entry requirements!! Love the mint green one you chose on the right. Eeekkk!!! I love shabby apple so much! I'd love to win this! So many to like! I think it would be a toss up between Da Vinci and Elizabeth Island. The dresses are all so pretty, but I would love the 'Serenade' maxi dress! It's so hard to choose just one but I have narrowed it down to the Ms Porter dress...I just love the zipper in the back - it is awesome! I love their rhapsody dress the best! The LA dress is adorable! The bright purple is so cute! I love the new Lilac dress! L’or Belle # 11 would have to be my favorite. So pretty! i love the cider dress!